The digital divide remains formidable in scaling information and communication technology (ICT)-enabled opportunities for effective leadership and development in countries lagging behind. In a country like Nigeria, leadership and development challenges often hinge on the lack of effective coordination beneficial of eParticipation. This chapter discusses the application and practice of eParticipation in simulation exercise for leadership training in Nigeria. The Crisis Game, a simulation exercise, of the Nigeria’s National Institute for Policy and Strategic Studies (NIPSS) provides a case study with the theme of political zoning. Three major theories of structuration, institutional and actor-network are used to ascertain the significance of eParticipation in bridging digital divide. Its findings include low level and inadequate utilization of ICT devices and processes for eParticipation at the highest level of leadership training in Nigeria. 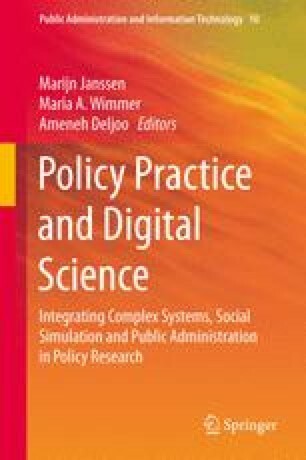 The chapter recommends stronger institutionalization of ICT support; public enlightenment; collaborative research on eParticipation; and legislation for enhancing eParticipation capability in bridging global digital divide.